Everyone nows Voltron. 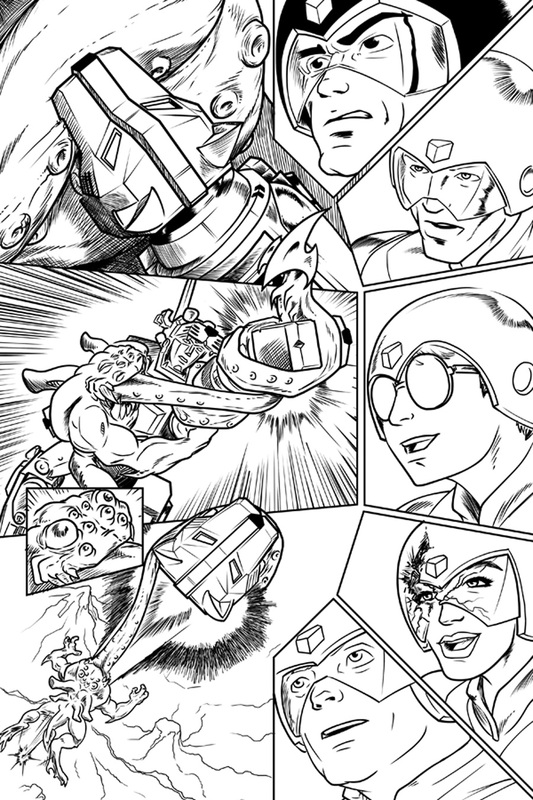 If you grew up in the 80s, Voltron was a staple of your youth. Dynamite Entertainment is tapping into that youth by publishing Voltron: From the Ashes, an all-new six-issue miniseries written by Cullen Bunn and illustrated by Blacky Shepherd. 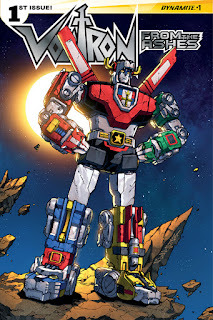 Set two hundred years after the events of Dynamite's previous Voltron series, the miniseries will introduce a new team to pilot the five lions that form the Defender of the Universe. 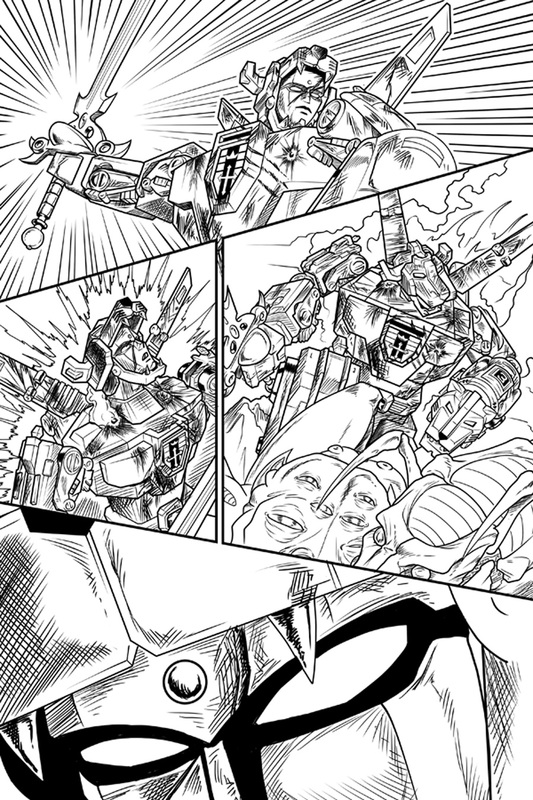 The debut issue will launch in September 2015 and feature cover artwork from Alex Milne. 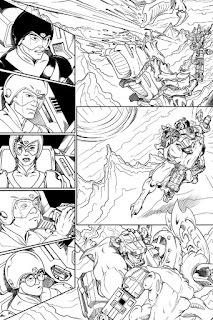 "You don't grow up in the day and age of my childhood without developing a deep and abiding love for Voltron,"says Bunn, "so writing the adventures of such an iconic giant robot is a real thrill and a treat. 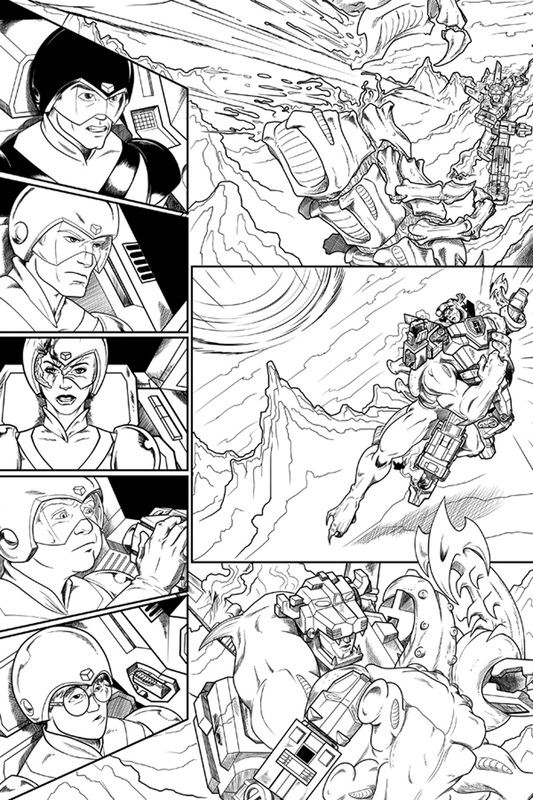 With this story, I hope to show a couple of different sides of Voltron, one vibrant and exciting like the old cartoons, and one a little more dark and even frightening. This dichotomy should be a lot of fun for readers and allow me to explore different sides of the characters involved. For me, Voltron has this mythic quality that I really want to delve into, and I'm excited to see what fans think of my contribution to the Voltron legend!" Voltron: From the Ashes #1 will be solicited in Diamond Comic Distributors' July Previews catalog corresponding to items shipping in September 2015. Comic book fans are encouraged to reserve copies of Voltron: From the Ashes with their local comic book retailers. Voltron: From the Ashes will also be available for individual customer purchase through digital platforms courtesy of Comixology, Dynamite Digital, iVerse and Dark Horse Digital. Full press release below. June 29, 2013, Mt. 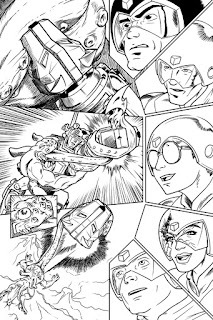 Laurel, NJ: Dynamite Entertainment is proud to announce the return of the Voltron Force in the pages of Voltron: From the Ashes, an all-new six-issue miniseries written by Cullen Bunn (Deadpool, Captain America) and illustrated by Blacky Shepherd (3 Days in Darkness). 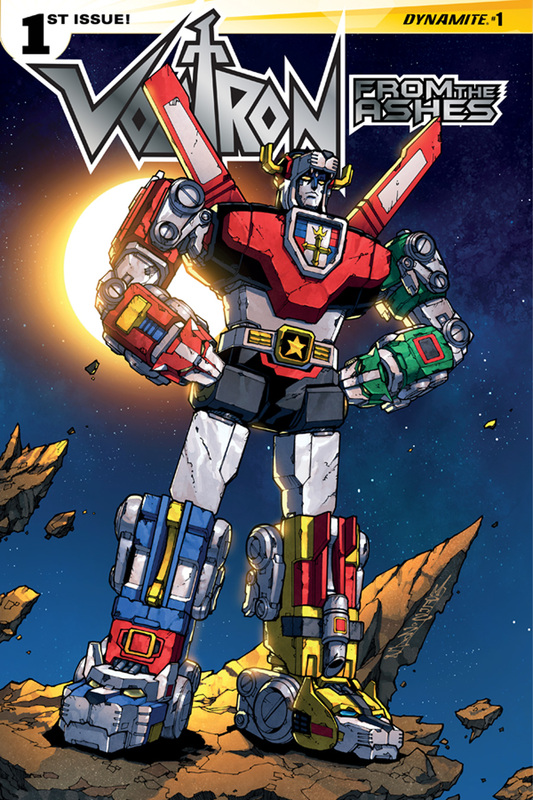 Set two hundred years after the events of Dynamite's previous Voltron series, the miniseries will introduce a new team to pilot the five lions that form the Defender of the Universe. 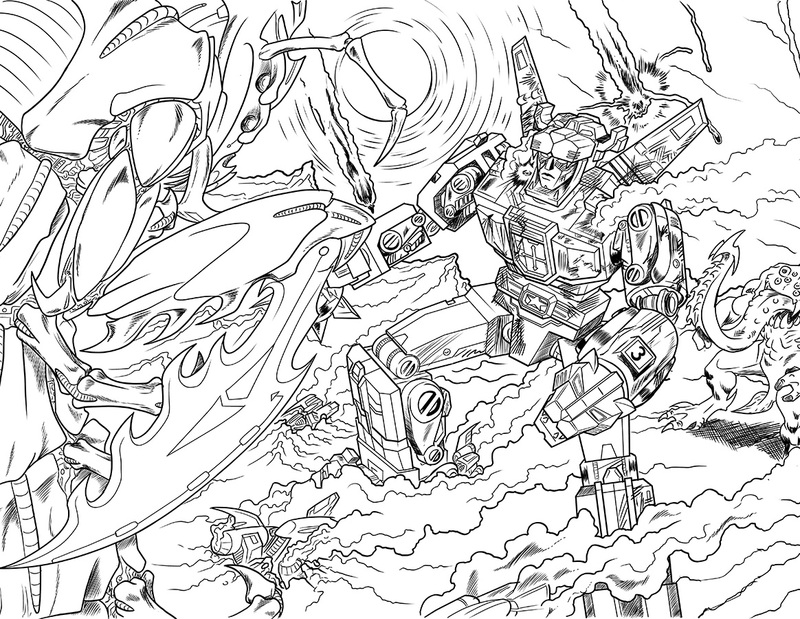 The debut issue will launch in September 2015 and feature cover artwork from acclaimed Transformers artist Alex Milne.